Join us for a celebratory First Friday at The Nest Coworking (Lettering Works' office) complete with a three-year anniversary sale. In April 2016, Chelsie Tamms won Bradley University's Project Springboard Student Entrepreneurship Competition and received $10,000 in startup funding, which she used to start and build a business in Peoria. 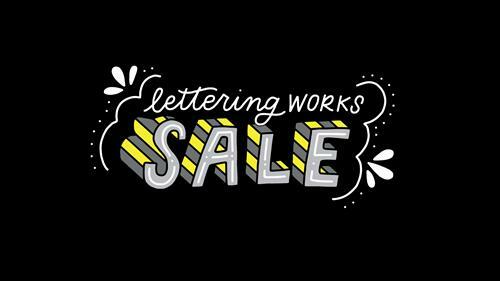 Come shop the growing collection of products, meet the artist behind the lettering work, and learn about the popular passion project: Hello Peoria. There will be special sales, giveaways, and opportunities to promote positivity in Peoria. Please note that this event is only during a portion of First Friday, from 5:30-7:30pm. This event will be held at The Nest Coworking, 820 SW Adams St. in the Warehouse District. The Nest is a coworking space that serves freelancers, remote workers, and early-stage startups. 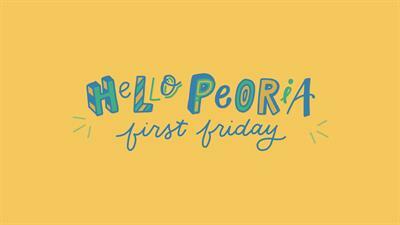 This event will showcase what Hello Peoria is all about and its recent evolution to Hello Greater Peoria. Come by to see how you can get involved and get some free giveaways. We will be featuring community photos submitted using the hashtag #hellopeoria. Additionally, we will have merchandise available for purchase. Hello Peoria aims to unite our community in spreading positivity about our city. Free parking is available on SW Adams Street or in a lot on the corner of Oak and Adams, and additional parking can be found in the alley between SW Adams and SW Washington.